An RTI query has brought out that only four dyeing units out of about 400 have a no-objection certificate (NOC) from the Central Ground Water Authority (CGWA) to extract groundwater. As for the dyeing units extracting groundwater illegally, more than 400 in number, no case has been registered against the owners, says Advocate Amit Kumar, who sought information under the Right To Information (RTI) Act, 2005, from the hydrologist, groundwater cell, Agriculture and Farmers Welfare Department. The National Green Tribunal (NGT) recently expressed dissatisfaction over pollution caused by industries in Panipat and Sonepat. Sources say that of the 400 registered dyeing units operating in the city, 300 are in Sector 29 part II. As for illegal dyeing units, they are scattered all over the city. 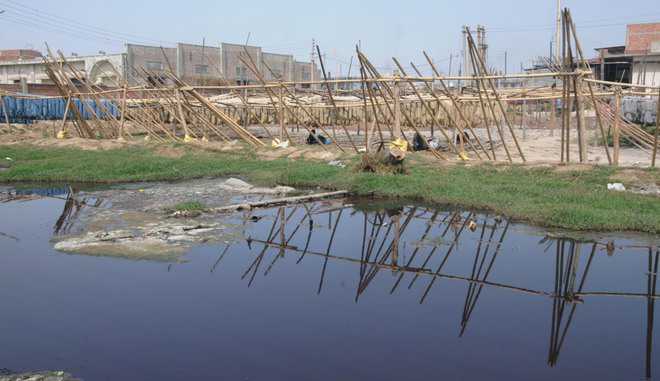 The extraction of groundwater by legal and illegal dyeing units is about 70 million litres per day (MLD). The 300 dyeing units in Sector 29 part-II extract the most: more than 40 MLD. The dyeing units which are extracting groundwater have not installed flow meters in their industries. They have not even installed any system for the recharge of groundwater,” said a senior official of the Haryana State Pollution Control Board (HSPCB). Dalbir Rana, Hydrologist (groundwater cell), Karnal division, said Samalkha and Bapoli blocks in Panipat district were notified as dark zones in 2012, but all blocks were in the overexploited category. “Sector 29 part-II is the overexploited part. The department is planning to send them notices,” he said, adding “52 unit owners have applied for the NOC. The last date for applying is March 31”.